8.5x11, x + 34 pp. 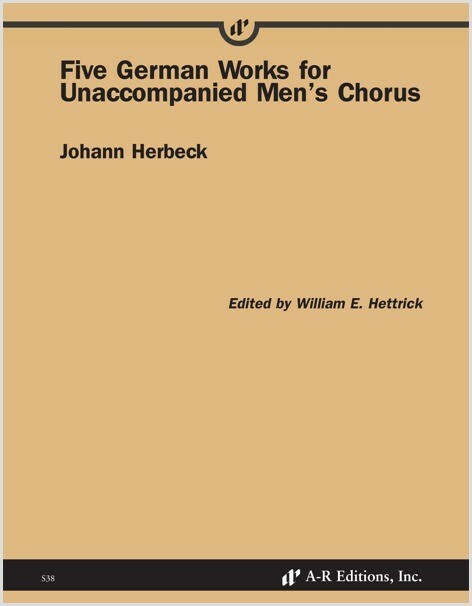 Johann Herbeck (1831–77) was a major musical figure in Vienna in the third quarter of the nineteenth century. He was, at various points in his career, conductor of the Wiener Männergesang-Verein, conductor of the Singverein, musical director of the Gesellschaft der Musikfreunde, musical director of the Court Chapel, and director of the Court Opera. Herbeck joined the Wiener Männergesang-Verein in 1852, served as its conductor from 1856 to 1866, and continued as honorary conductor until his early death. During this time, he composed over a hundred works for men’s chorus. The pieces selected for this volume display Herbeck’s mastery of the musical idioms of his time.